Nearly 200 judge trainees who were recruited after a failed coup attempt in Turkey last summer have been purged by the latest government decree, a main opposition deputy said on Sunday. According to the Gerçek Gündem website, main opposition Republican People’s Party (CHP) İstanbul deputy Barış Yarkadaş said on Sunday that the ruling Justice and Development Party (AKP) is in a “paranoia” as it purged nearly 200 judges who were recruited after the failed coup to replace judges purged over their links to the Gülen movement, which is accused by Turkish authorities of being behind the coup attempt. “Although the judicial candidates had gotten security clearances, all of them were dismissed last night [Saturday] over their links to FETÖ (a derogatory term coined by AKP circles to refer to the Gülen movement as a terrorist organization]. They are in the situation not being able to trust judges who they themselves recruited. This is a state of paranoia, and it cannot rule a country,” he said. According to a recent decree on Saturday, 3,974 civil servants, including 1,127 from the Justice Ministry, were dismissed. 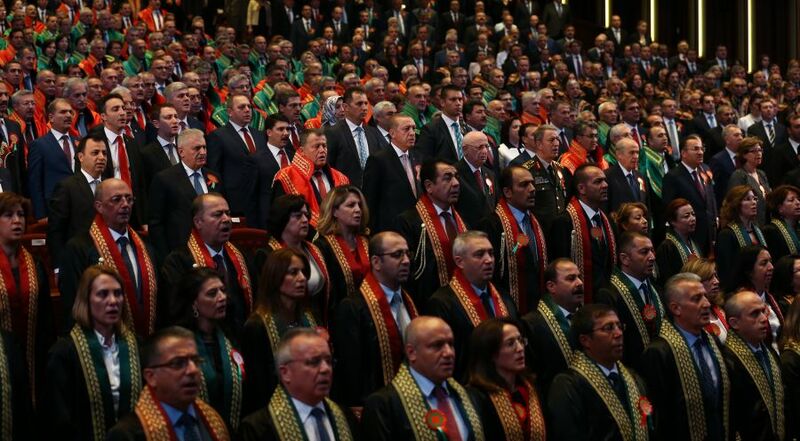 Last week, Yarkadaş claimed the ruling AKP recruited for the position of judge 800 lawyers who had ties to the party. He said the AKP government held an examination for judges, saying that there were 1,500 vacancies in Turkish courts. “However, they only recruited 900 judges, 800 of them pro-AKP people,” he said. Over 140,000 people, including 4,272 judges and prosecutors, have been purged from state jobs due to their real or alleged connection to the Gülen movement, which the Turkish government accuses of being behind the failed coup on July 15, 2016. Although the Gülen movement strongly denies having any role in the putsch, the government accuses it of having masterminded the foiled coup. Fethullah Gülen, who inspired the movement, called for an international investigation into the coup attempt, but President Recep Tayyip Erdoğan — calling the coup attempt “a gift from God” — and the government initiated a widespread purge aimed at cleansing sympathizers of the movement from within state institutions, dehumanizing its popular figures and putting them in custody. This article originally appeared in Turkish Minute on May 1.